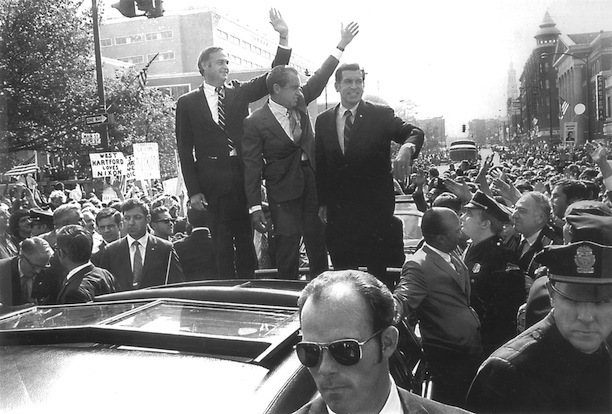 When Governor Thomas Meskill took office in January of 1971, Connecticut found itself in the midst of a financial crisis. In the years leading up to Meskill’s election, the state managed to accumulate a debt of over a quarter of a billion dollars. Throughout the spring of 1971, legislators struggled to develop a plan for eliminating the deficit. Meskill wanted the budget balanced within 36 months. To that end, he proposed raising the state’s sales tax from 5 to 7½ percent. The only other option, many felt, was to institute a tax on income. During this time, Connecticut residents had the highest per-capital income in the country and several legislators saw an income tax as a quick and easy solution to raising the necessary funds. As the spring legislation session began coming to a close, however, there remained no agreement on how best to address the financial crisis. A special legislative session scheduled for August 11 carried over to the following day without an agreement until, finally, on the evening of August 12, legislators voted to repeal the state income tax—just 42 days after passing it. In its place the state opted to raise the sales tax from 5 to 6½ percent (the highest in the country). The new tax package also sought to increase revenues by requiring a two-cent hike on the state’s gasoline tax, a five-cent increase on cigarettes, and the raising of tuition at the University of Connecticut to $350 per year. Despite his failure to achieve the desired 7½ percent sales tax, Governor Meskill signed the new bill into law. He did so with the understanding that at the first sign of a revenue shortfall he intended to call legislators back into session. The plan worked. When Thomas Meskill left office the state’s budget actually showed Connecticut in possession of a financial surplus. It took until 1991 before the Connecticut General Assembly approved another state income tax. 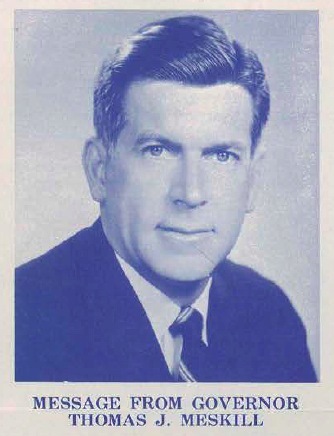 “Finding Aid to the Office of the Governor: Thomas J. Meskill (1971-1975) Records, RG 005:035.” Connecticut State Library, 2016. Link. “Assembly Overturns State Income Tax: Meskill Due to Accept Sales Levy.” Hartford Courant. August 13, 1971. “Governor Ignores Protestors of Tax.” Hartford Courant. July 27, 1971. Miller, Stephen. “Obituary: Thomas Meskill, 79, Led Connecticut in Stormy Times.” New York: The Sun. October 30, 2007. Link. “Repeal Unsure for Income Tax.” Hartford Courant. July 28, 1971. “Tax Turmoil Rolls On and On.” Hartford Courant, August 8, 1971.